What is Lattice Performance Management? 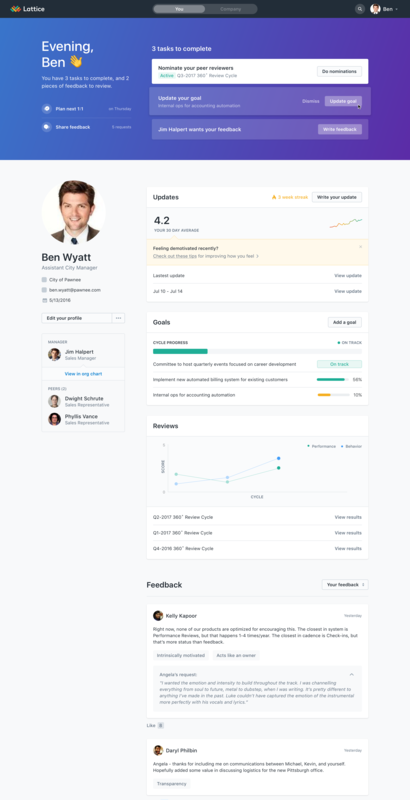 Continuous performance management solution designed for the employee experience. 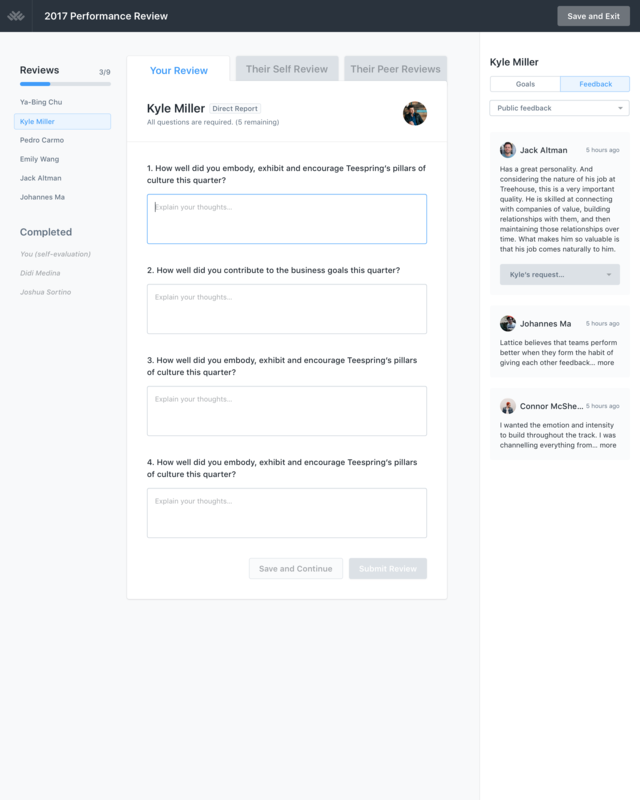 Lattice is a people management platform that helps companies align, engage, and grow their employees. 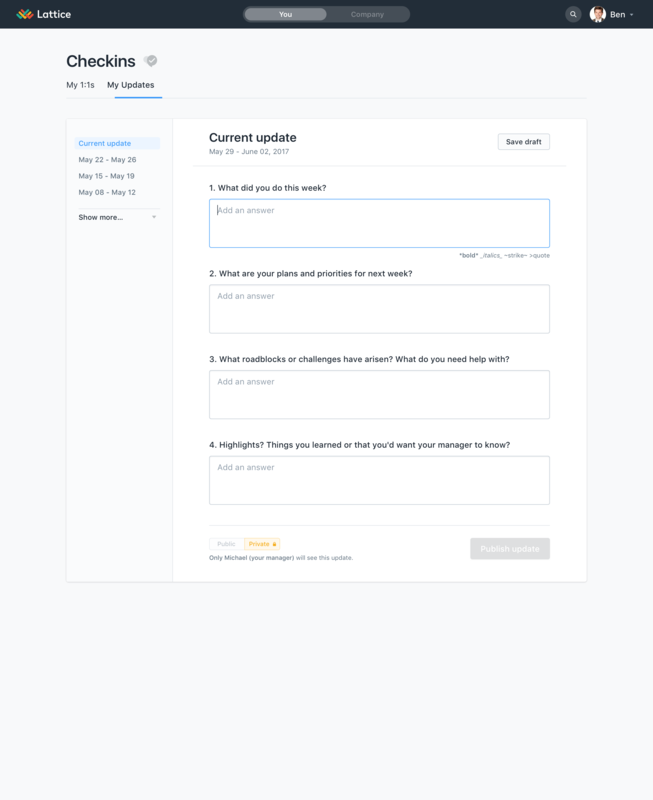 With Lattice, it’s easy to launch 360 reviews, share ongoing feedback and public praise, facilitate 1:1s, setup goal tracking, and run employee engagement surveys. By combining performance management and employee engagement in one solution, HR teams get powerful analytics that lead to actionable insights around how to create a high-performing and engaged workforce. Lattice’s consumer-friendly product experience means employees actually use the software, and HR teams save time. 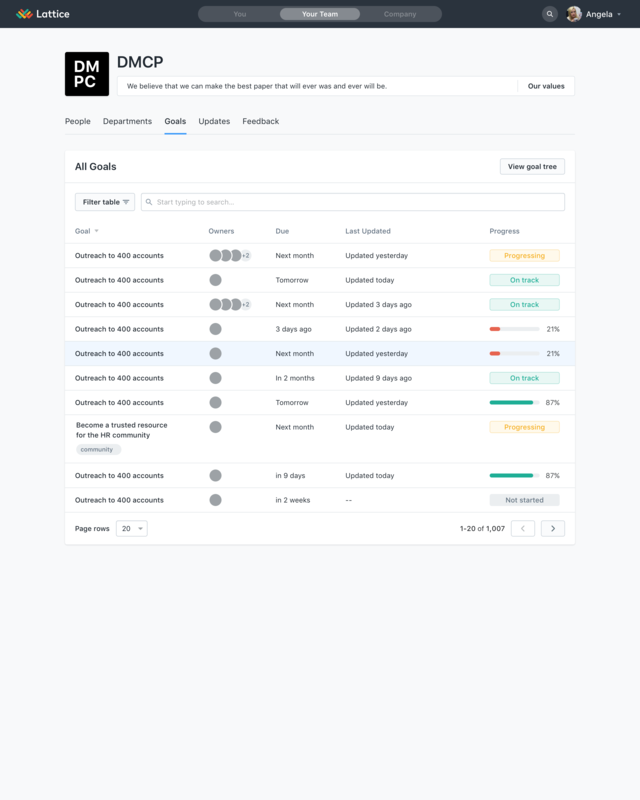 While deep customization features help Lattice adapt to your company culture and scale with your company as it grows. 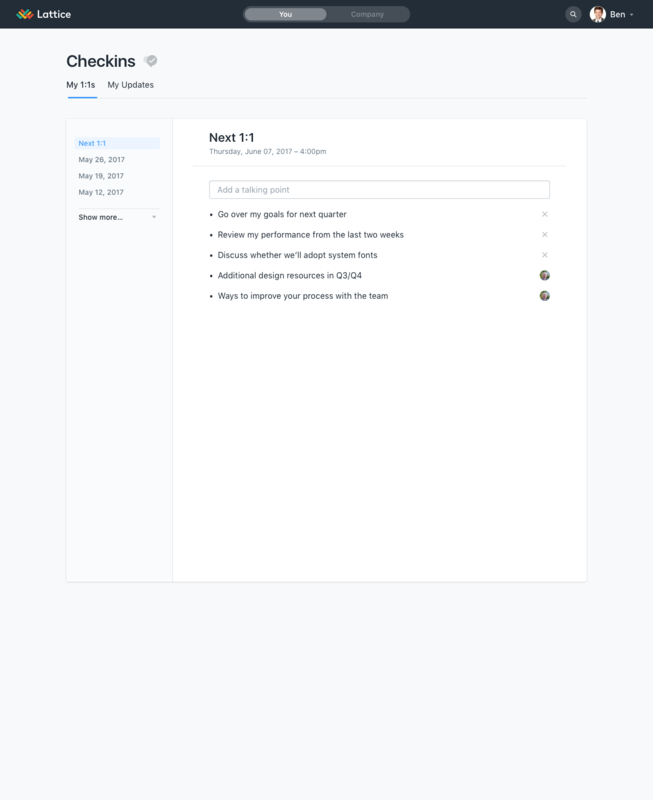 Lattice is lightweight, flexible, and easy to use.